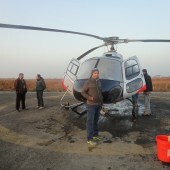 Our company has been offering exciting Nepal helicopter tours for many years. During this period, we have implemented new guiding techniques to provide you with the stunning bird’s eye view of the country and its sheer beauty. Satori Adventures is well known for unparalleled safety records and commitment to customer service. Thus, we take great pains to make sure you achieve more than you have imagined when you go for our helicopter ride in Nepal. Our success is based on a strong combination of highly qualified team of pilots together with the best aircraft fleet, enabling us to serve many areas of South Asia. 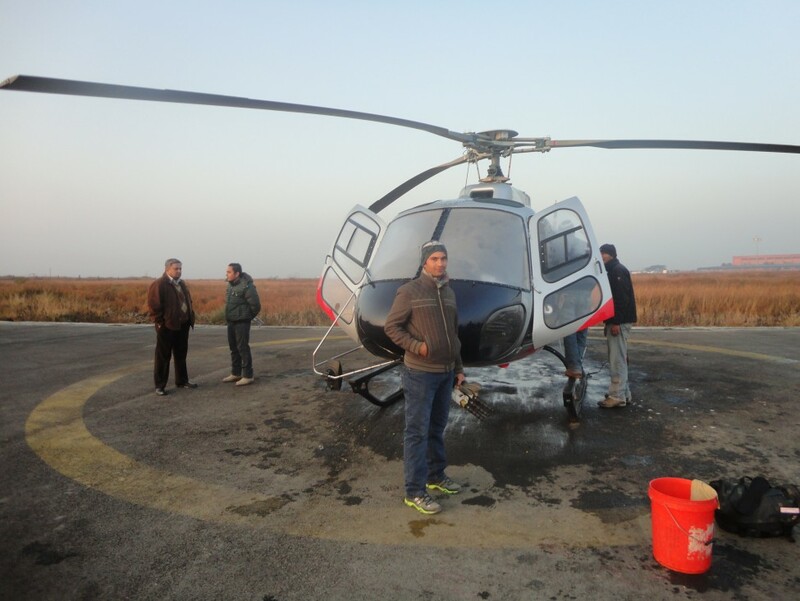 When you opt for our flying expeditions at the most attractive helicopter price in Nepal, you can rest assured that you will get first-class services. Whether you want to visit Kathmandu/Pokhara, take a look at Everest, or reach any other exotic destination, we are here to help. We will ensure your departure as well as arrival in style and on time without charging exorbitant helicopter tour Nepal prices. For those travelers who don’t have time to go on weeklong trekking trips along the Nepalese mountains and hills or have low fitness levels, such a trip will be a perfect choice. Since a whirlybird can land in narrow spaces, this way of traveling allows you to get to the most remote corners of the Himalayas whenever you wish. With 8 mountains above 8,000m and more than 500 peaks above 6,000m, the country offers a lot to you. 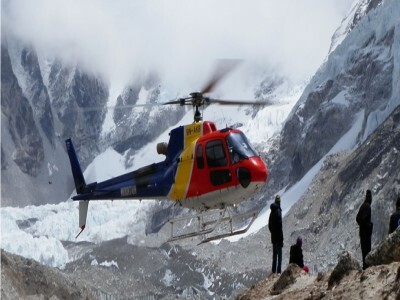 Thus, a helicopter tour in Nepal will be the prime option for all adventure lovers willing to explore gigantic peaks and alpine scenery within a couple of days. It is the best way to discover the mystery of nature. Satori Adventures has been successfully arranging chopper expeditions for years, providing tourists with the unforgettable experience in the Himalayas. You will be offered unrivaled vistas of snow-capped mountains, glaciated terrains, scattered villages, turquoise lakes, and awe-inspiring landscapes. During this tour, you will get so close to glistering mountains so that they will seem like within your reach. With our help, it’s up to you to enjoy the view of the breathtaking parade of soaring peaks. Helicopter charter cost in Nepal depends on the travel destination and the trip package you choose. We offer tours to Everest, Annapurna, Langtang, and such religious places of the country as Muktinath, Damodar Kunda, Upper Mustang, and more. 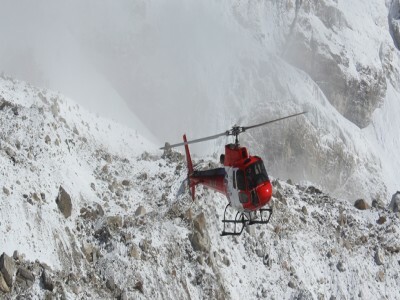 For example, a chopper trip to Everest will cost around $4,000 per person in a group of 4 people. If you wish, we can combine this tour with the trekking adventure package. Thus, you will get the chance to experience and witness lush flora, various animal species, and like-minded people while realizing the importance of their culture and traditions.